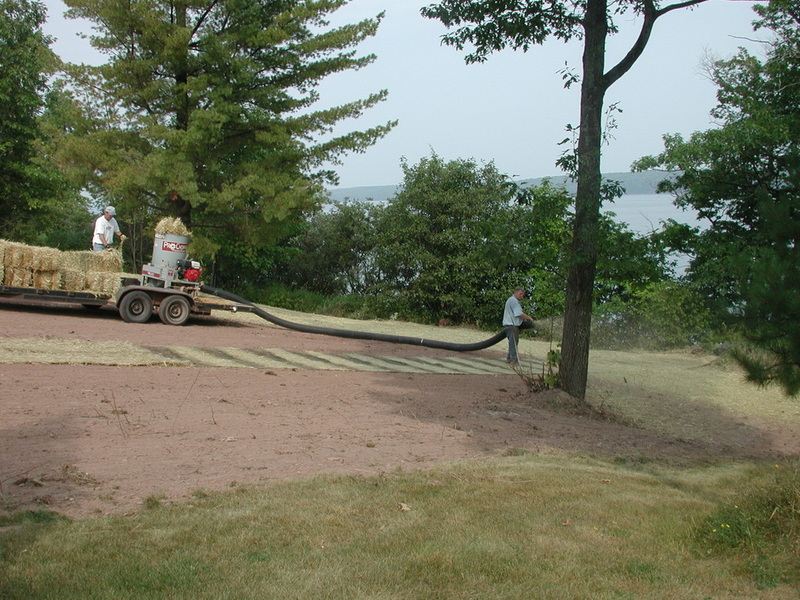 Depending on the area to be landscaped Greg may work with local landscapers he knows to complete your project. 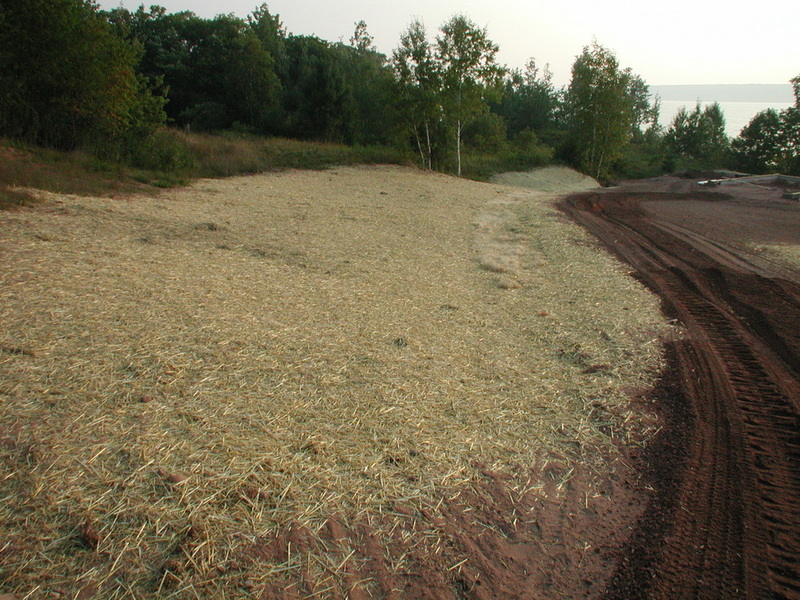 When Carrier Construction is responsible for landscaping, contouring and management of vegetation is accomplished during and upon completion of the project. 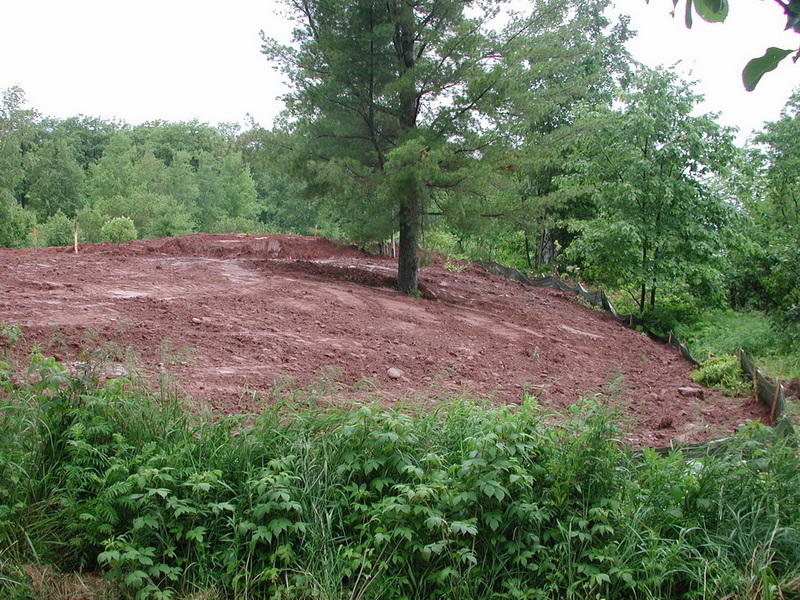 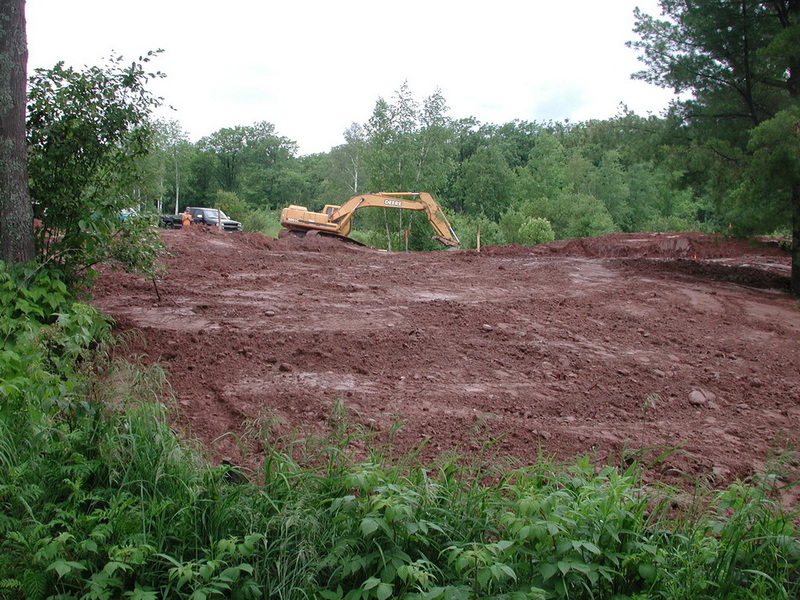 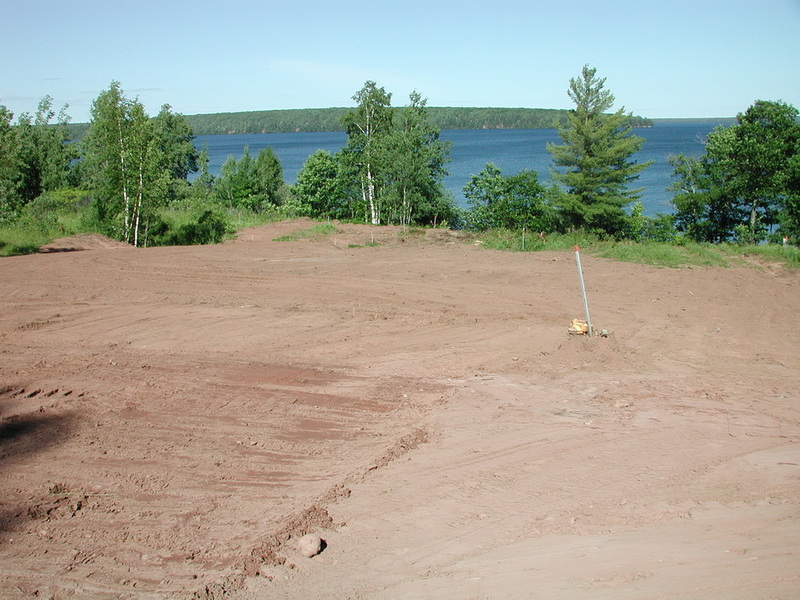 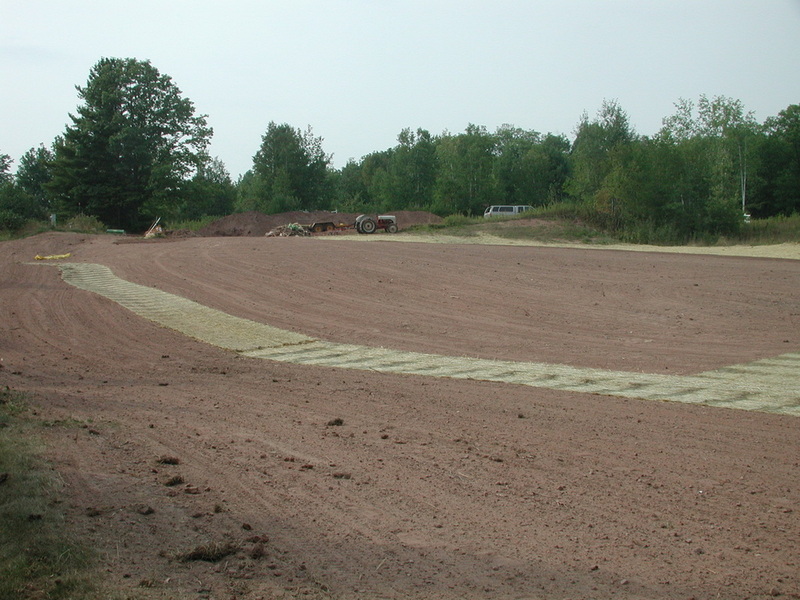 The following images illustrate the process of contouring followed by seeding and eventually mowing of the construction site and adjacent property. 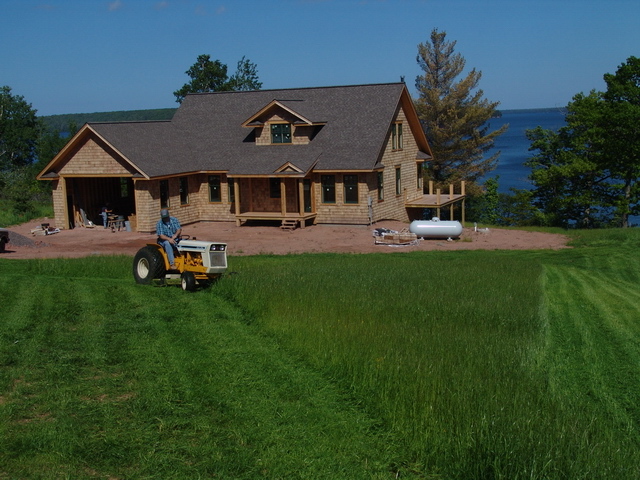 Greg mowing the new lawn as the construction project approaches completion.